What’s the difference between engineered and solid wood? Solid wood products are milled from one piece of wood into boards that are three-quarters of an inch thick. They should not be installed below ground level (below grade), as moisture makes them expand and contract. Typically, solid wood floors can be sanded and refinished several times. They also are offered a very wide selection of colors and stains. Engineered hardwood flooring is also real wood but is constructed of multiple layers of crossgrain woods that are bonded together. 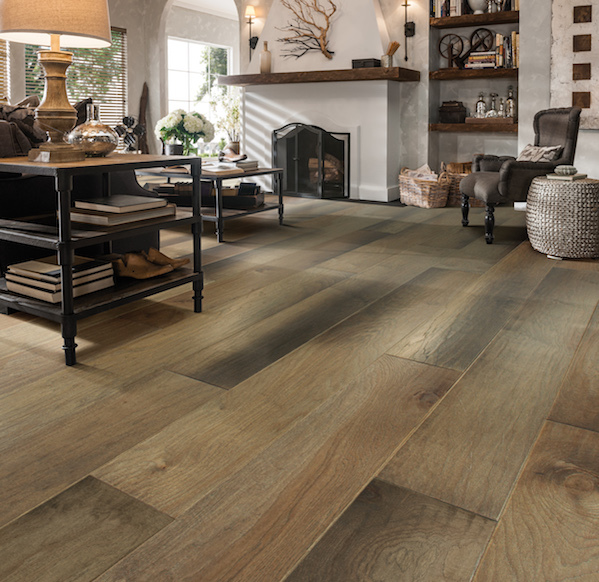 They are designed for installation at any house level, including below grade, and are considered the most structurally sound wood flooring product. I’m looking for a tough floor. What do you recommend? Different species have different hardness levels that affect durability. If your floor is likely to take a lot of abuse, consider oak, maple, ash or Brazilian cherry for extra resistance to indentation. On the softer side are teak, cherry and pine woods. Why should I buy pre-finished wood? Factory applied finishes are generally superior to on-site finishes in terms of both wear layer performance and clarity. No fumes, no imperfections, no drying time, no dust, no fuss. Plus, prefinished floors are warranted for a longer time period than site-finished floors. Site finishing is especially suited for custom floors. Both solid and engineered hardwoods are among the longest lasting flooring options and, with proper care, may never need replacement. 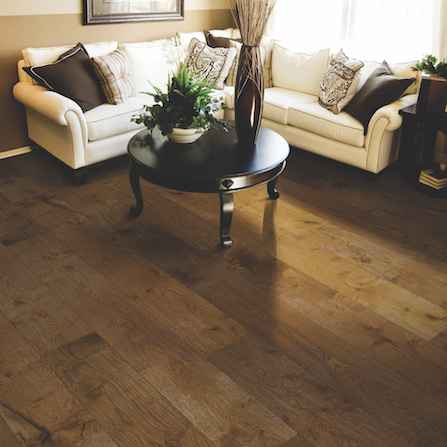 Wood flooring is one of the most expensive flooring options. The quality of the wood plays a large role in the price. Generally, there will be more knots, color variations and natural imperfections at lower price points. As prices increase, the wood may be more consistent in color, but that too depends on the species. At the high end of the price spectrum, you'll find more exotic types of wood, wider widths, specialty visuals and finishes. The average hardwood flooring job runs about $3,000 to $4,500. Generally, three-quarter-inch solid wood runs around $10 to $14 per square foot (engineered hardwood is a little less expensive). Thinner profiles in solid wood, such as 5/16-inch, go from $3 to $5 per square foot. For installation, add an average of $3 to $5 per square foot for prefinished wood and $7 to $10 per square for site-finished wood, depending on the complexity of the job. I have children and pets. Is there a specific wood I should be looking for? Different types of wood are more durable than others. 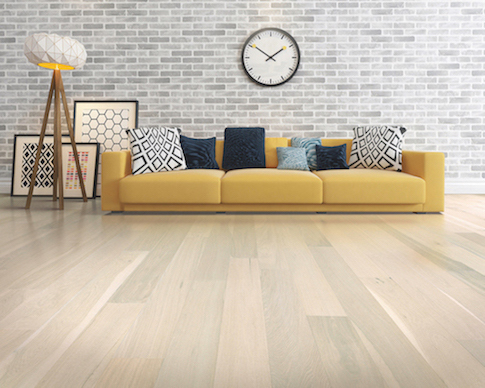 If you want a floor that stands up to heavy use, you may want to choose a species equal to or harder than oak, such as maple, Brazilian cherry, or ash. Bamboo is also a great choice. Hardwood floors can be adversely effected by extreme changes in humidity. During the hot, humid weather a de-humidifier may be required. 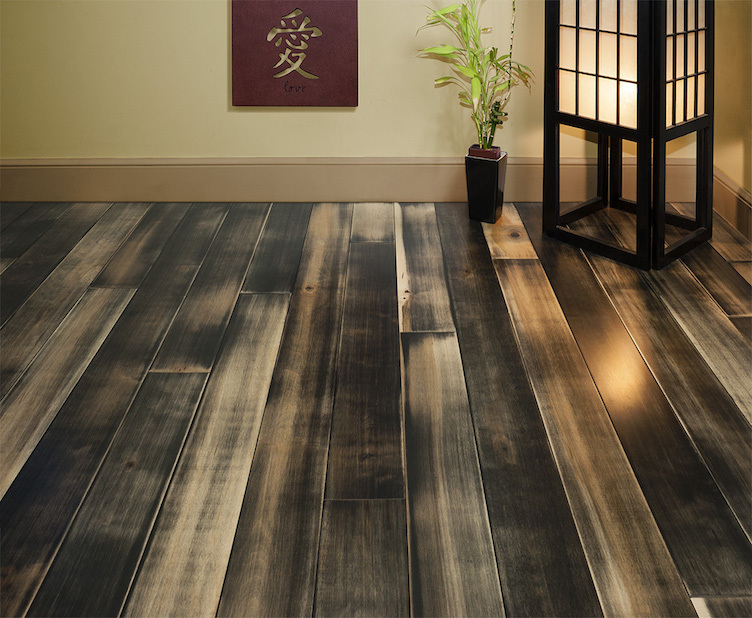 Although engineered wood floors are less affected than solid wood floors, in the dry winter months humidification may be necessary to prevent surface cracking.